Business owners are always searching for ways to keep up with the rising costs of keeping the doors open, turning a profit, and keeping up employee morale. It's not always easy to meet all three, but it is essential for the entrepreneur to not only survive but thrive. There are several ways employers can effectively address the rising costs of doing business and we offer you a few to consider. 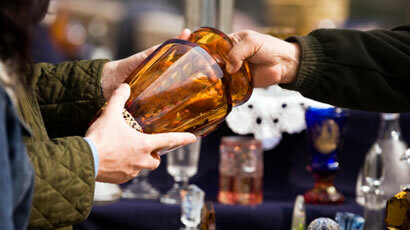 Two great ways to lower costs of doing business is networking and bartering. Networking events are a great way to meet new individuals who may offer lower prices on the goods and services you need. Additionally, many business owners are turning to bartering as a way to save cash for items that can't be bartered. Barter typically requires little or no cash and you may find ways to barter for rent, office furniture, printing or even professional services. Try to make purchases in bulk or at wholesale stores. Buying bulk typically allows you to save over cost per piece prices. Shop around for prices from local bulk stores or through online wholesalers. Consider renting or borrowing less-used pieces of office equipment. Do you host occasional training conferences for which you need a projector? Rent one for a week. Consider renting a copier or industrial strength printer when the need arises rather than paying an ongoing contract fee. Plan ahead for big ticket purchases you know are looming. When you know you need to update, start checking sale ads, scour close out sales, garage sales or even message boards for going out of business sales. Have you tried to negotiate a discount on the products and services you use on a regular basis? If you have a long term relationship with a supplier, chances are he or she might be willing to negotiate a better price as a way to keep you as a client. When it comes to employee costs, consider installing a time clock - either virtual or physical - as a way to lower costs. If your employees can log into an online time keeping program you can save costs on time and payroll calculation at the end of the pay period. 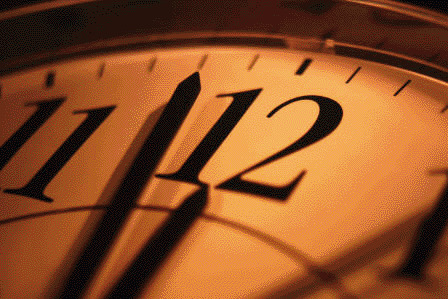 Virtual time clocks are a money saver in myriad ways. Feel like you're a slave to time clocks and other office gadgets? Tired of being late or behind schedule almost constantly? It might be time to look at simplifying your business, both for your sake as well as your company's! Keep it simple. You don't have to change your whole life in one day. A little thing here and there adds up quickly. Consider outsourcing. Many business outsource human resources, letting a larger, professional firm do what it does best and allowing the smaller business to focus on other functions. There is no need to lose sleep over this function, so unless you are an HR company, let go and let someone else do it. Streamline your morning by writing down a short routine to condense need to be done items. Spend five minutes looking at email instead of thirty. Have your coffee and roll at home rather than wasting fifteen minutes of valuable work time waiting in a coffee shop line or cafeteria. Avoid meetings! All-office meetings eat time, and many companies today are eliminating the face-to-face meetings that were so prevalent a decade ago. Write down five things you want to accomplish that day. You'll find that what is written becomes finished. Psychologists call this the art of simplicity, and the simple act of writing tasks down helps the human mind to focus. Simplify and get more done without feeling like you're racing the time clock or wasting the day. With these tips, you'll undoubtedly find more and more ways to not only simplify but feel more accomplished by the end of the day.